The appointment of former "gray cardinal" Vladislav Surkov to a post in President Vladimir Putin's administration has prompted a flurry of speculation among Kremlin watchers with some saying it signals a return to a more flexible policy in political affairs and others insisting it is just a sinecure for Surkov, conveying no actual powers to the veteran functionary. 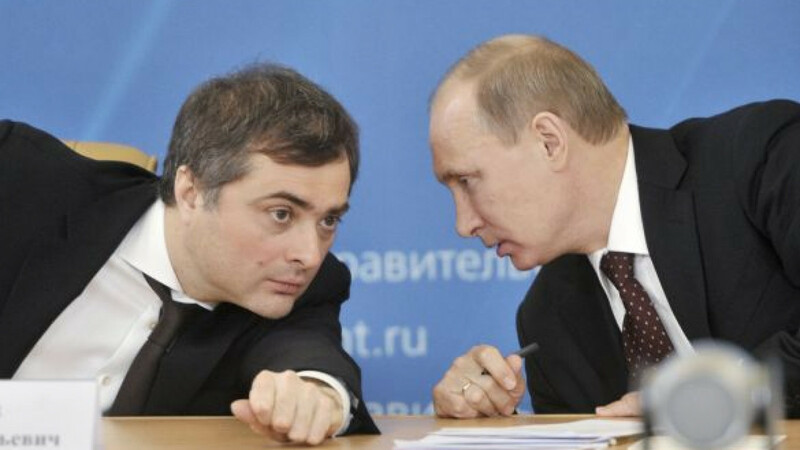 Surkov, widely believed to be the chief architect of Putin's political system in the 2000s, was downgraded from a presidential first deputy chief of staff to a deputy prime minister in December 2011 and resigned from the Cabinet in May 2013. His comeback to the Kremlin as a presidential aide, officially announced Friday, is seen by some experts as an attempt to find a more subtle counterweight to presidential First Deputy Chief of Staff Vyacheslav Volodin. "It's better to keep Surkov within the system than out of it," said Alexei Makarkin, deputy head of the Center for Political Technologies, arguing that keeping him out of the political system would lead to potential risks because Surkov could become an independent actor. But Surkov, who will officially be in charge of relations with Abkhazia and South Ossetia, is unlikely to supervise domestic policy because according to bureaucratic traditions one is not allowed to step on other policymakers' toes, Makarkin said. Currently, domestic policy is overseen by Volodin. Dmitry Oreshkin, head of the Merkator research group, said Volodin would not let him tread on his turf because that would imply a return to the "Surkov era." Although, Putin might occasionally lend an ear to Surkov to hear an alternative view on domestic policy, Oreshkin said. Some had a more cynical view of the appointment. "This is a birthday gift for Surkov," said Stanislav Belkovsky, director of the National Strategy Institute, dismissing Surkov's new position as a sinecure that did not give him any actual powers. In terms of domestic policy, it will not change a thing, Belkovsky said. Influential commentator Yuliya Latynina attributed the appointment to the Sept. 8 mayoral election, which was won with just more than 51 percent of the vote by Kremlin-backed candidate Sergei Sobyanin, ahead of runner-up Alexei Navalny, who nonetheless had a strong showing with more than 27 percent of the vote. The Kremlin deemed the election a fiasco because of Navalny's unexpectedly high percentage and Sobyanin's inability to get significantly more than 50 percent, Latynina said on her Ekho Moskvy radio show on Saturday. She said the election results demonstrated a failure by Volodin and led to the appointment of Surkov as a counterweight. "The main principle of this appointment is that there should be many spiders in the jar," Latynina said. Putin's regime is based not on the separation of powers but on infighting between Kremlin clans, and Surkov's appointment fits with this logic, she said. According to Oreshkin, Surkov's comeback may signal that Volodin's heavy-handed methods have not worked, and the Kremlin decided to moderate this policy by hiring a more sophisticated strategist. Surkov's system was based on the subtle manipulation of political parties, while Volodin has given them much less leeway and independence, he said. In the future, the Kremlin could combine tough measures with concessions — for example, by jailing opposition leader Navalny, who is currently appealing a conviction on embezzlement charges, but giving amnesty to suspects in the "Bolotnoye case," he said. 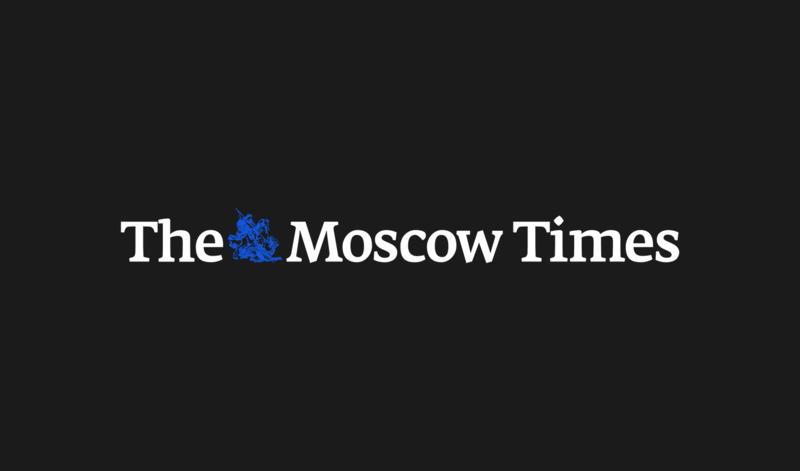 "They need to expand the interface for interacting with different social groups," Oreshkin said, adding that Surkov had been hired exactly for that purpose. Some observers disagreed with Surkov's description as a more flexible policymaker. Those who compare Surkov's "scalpel" with Volodin's "ax" are mistaken, because Surkov's methods were quite heavy-handed, Belkovsky said. As an example, he cited the pro-Kremlin Nashi youth movement, created by Surkov, and his use of prostitutes to smear opposition activists, saying those could not be called subtle methods. And Volodin's policies are not always so repressive, Belkovsky said, recalling the Kremlin's decision to allow Navalny and opposition politician Yevgeny Roizman to run in mayoral elections in Moscow and Yekaterinburg, respectively. "Surkov's 'flexible policy' is a legend," Makarkin said. Surkov showed no flexibility when he barred Roizman from running in legislative elections and when he expelled tycoon Mikhail Prokhorov from the Right Cause party, he said. "The theory about Surkov's liberalism being at odds with Volodin's conservatism is just a PR stunt," Makarkin said. Makarkin described Surkov's policy on political parties as "an architectural approach": Parties were "built" from above, and there were very rigid restrictions even on the loyal opposition, not to mention more independent elements. Regardless of Surkov's political methods, in his new job he will face major challenges when it comes to Russia's relations with other former Soviet nations. Given his close ties with Chechen President Ramzan Kadyrov, Surkov was put in charge of the Caucasus policy and will interact with local elites, Oreshkin said. This field is quite risky because "nothing good is going on in the Caucasus," Oreshkin said. The North Caucasus is becoming increasingly unstable, with almost daily violence between security forces and rebels fighting to establish an Islamist state. The functions of Surkov, whose father is an ethnic Chechen, could be similar to those of his former patron Boris Berezovsky during the latter's work as a deputy secretary of the Security Council from 1996 to 1997, when he held negotiations with Chechen separatists, Oreshkin said. Surkov worked with Berezovsky when he was first deputy chief executive at the tycoon's ORT television channel in from 1998 to 1999. But South Ossetia and Abkhazia are a minor issue for a high-profile figure like Surkov, and he could also be put in charge of relations with Ukraine, Makarkin said. Surkov might have to handle bilateral relations in the runup to the planned signing of a free trade pact between Ukraine and the EU at a summit in Vilnius, Lithuania, in November, he said. The two countries have been involved in a bitter standoff, with Russia objecting to Ukraine's accession to the pact and insisting that it join a Kremlin-led customs union. Previously, relations with Ukraine were supervised by presidential adviser Sergei Glazyev, but he "scared off" the Ukrainian elite because of his uncompromising stance, Makarkin said. It is difficult to predict what solution Surkov could offer to this problem, though, said Makarkin, noting that if someone had a clear recipe for handling the Ukrainian issue, it would have been announced already, he added.